These extra shelves are designed for use with Airdeck nylon wire shelving bays, the ideal choice for environments in which it is important that things be kept sterile. Buying extra shelves for Airdeck nylon wire shelving bays provides additional flexibility and is a practical choice when a lot of small items need to be stored, or when fragile items cannot be stacked. 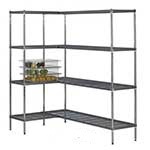 Like all Airdeck nylon wire shelving, these shelves have a sturdy mild steel frame coated in nylon with an active finish that attacks bacteria. 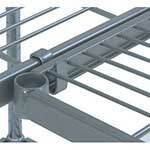 They are suitable for pressure washing or steam cleaning and are resistant to rust and corrosion. The grid design means that they promote airflow and a fast fit design makes them easy to install, with minimal safety risks. They can also be removed easily for individual cleaning. Purchasing extra shelves for Airdeck nylon wire shelving bays can increase the capacity of cold rooms, where their ability to withstand temperatures down to -40ºC makes them an ideal choice. 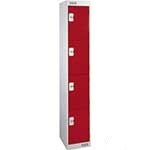 They also cope well with high temperatures, making them a good choice for kitchen and laboratory environments, and they are highly resistant to damp. 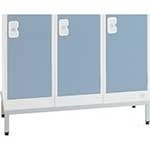 With open access corners that help make more efficient use of space, they are easy to fit.